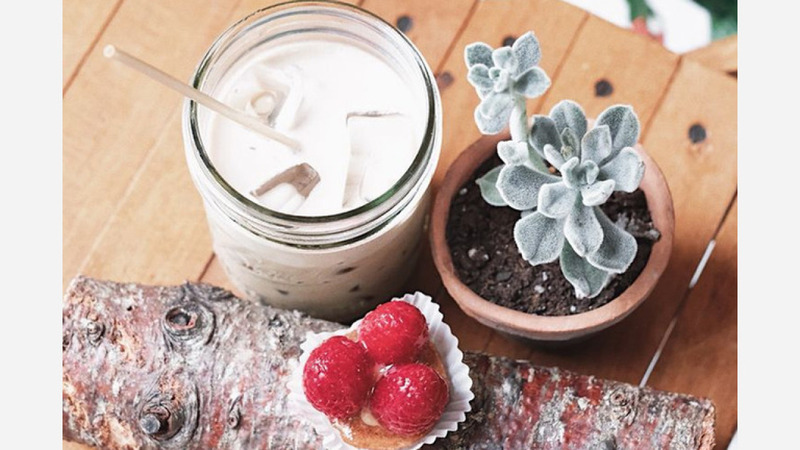 Coffee and tea fans, take heed: there's a new spot in town to get your fix. The fresh arrival to Nolita, called Urban Backyard, is located at 180 Mulberry St. According to its website, Urban Backyard "is a coffee shop that is committed to being environmentally and socially responsible." Alongside the classic caffeinated beverages -- Americano, macchiato, mocha, to name a few -- look for specialty drinks like lavender peony iced tea and masala chai. The pastry menu includes bagel croissants, chocolate chip cookies and cinnamon bourbon muffins, which are cinnamon rolls filled with bourbon cream cheese frosting. With a five-star rating out of seven reviews on Yelp so far, Urban Backyard is on its way to developing a local fan base. Erica W., who was among the first Yelpers to review the new spot on July 1, wrote, "This cozy establishment is great for you and your friend to stop by and chat over some drinks! The decor is lovely, too. The staff are also friendly, efficient and welcoming." Yelper Jackie Z. added, "The draft latte at this place is amazing! The pastries here are also quite nice; great flavors but not too sweet." Head on over to check it out: Urban Backyard is open from 7 a.m.-7 p.m. from Monday-Saturday and 8 a.m.-7 p.m. on Sunday.